How Long Are Investors Holding Assets Today? As we move later in the cycle, investors are becoming more conservative with their exit plans, according to panelists at Allen Matkins View From the Top. As we move later and later in the cycle, investors are becoming more cognizant of the end game. Of course, every investor is different. 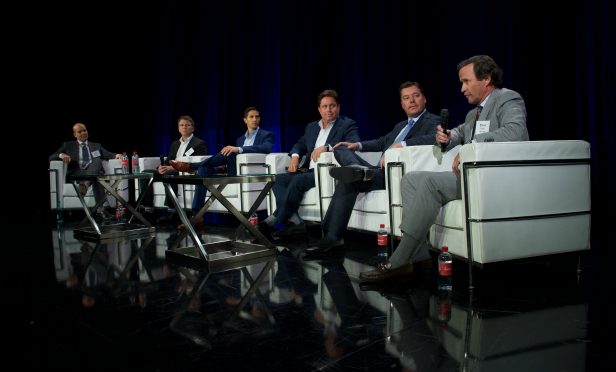 Long-term holders are less concerned about the next few years, paying closer attention to pricing and fundamentals, while value-add investors are much more focused on timing the cycle—and today, some of them aren’t taking the risk, according to the panelists on the Investment Sales Market Overview panel at Allen Matkins annual View From the Top conference earlier this week at the Beverly Hilton in Los Angeles. Moderated by Alain R’bibo, a partner at Allen Matkins; the panel included Steve Briggs, principal and chief investment officer at LBA Realty, Jonathan Lange, VP at Boston Properties; Stephen A. Rosetta, EVP and CIO at Kilroy Realty Corp.; Kevin Shannon, president of West Coast capital markets at Newmark Knight Frank; and Scott Stafford, co-founder and principal of Strada Investment Group. “I don’t know what inning we are in, but we are closer to the end than the beginning,” Stafford said on the panel when asked where we are in the cycle and how it is impacting investment decisions. Stafford said that the firm is not really doing many standard value-add deals anymore, where you turn an asset in three to four years, because they don’t know what the market will be like at that time. They are focused on class-B assets in A locations, finding undervalued opportunities—which is rare—and in value-add land plays, where the firm secures the entitlements on undeveloped land.